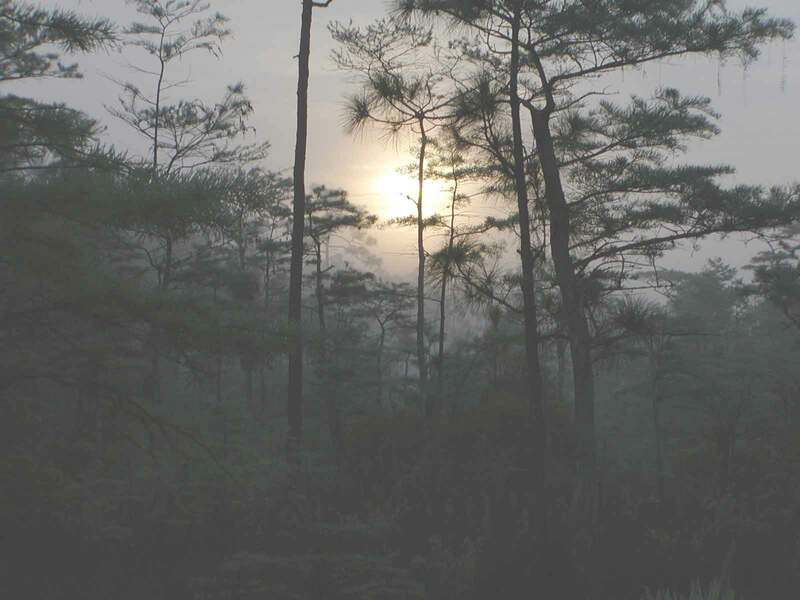 In the Big Cypress Swamp, like most rural places, an area or a spot in the swamp gets a name. The name is usually based on some outstanding natural feature or maybe even some event that took place there. For instance the story "Drug Plane" described how a 1970's event of an airplane full of marijuana, landed in an open prairie in the swamp. This prairie became known as "Airplane Prairie", by the new people in the Big Cypress. The locals already called this prairie, Airplane Prairie because, in the early years of use, a smaller airplane had crashed in a cypress head on the south end of the prairie. Its quite possible the remains of that airplane are still there. The actual name on the map is "Windmill Prairie", but most locals passing by it today refer to it as "Airplane Prairie". None of the locals know why the prairie was named on the map, as Windmill Prairie. Most think some Map maker just picked a name. So it is, history is forgotten and newer history takes its place. People that knew the original history are no longer around and the original history was not written down or shared through story telling and therefore is not remembered. So, here is the story of "LollyPop Lane"
In the years of the Big Cypress Swamp, that logging took place, a man went to work for the logging company, His job was to run the logging tram. This tram ran on rails, set on cypress logs in the low areas and on pine logs in the higher dry areas. This tram took the workers out in the swamp on Mondays and returned them on Fridays. In between it hauled the cut logs out to the mill. As this man worked, he experienced more and more of the swamp, he grew to enjoy this land. Over time he introduced his family, wife, sons, daughters and in-laws to the swamp. Purchasing a small ten acre tract, out in the middle of the swamp, he and his family cleared an acre and built a small cabin. Off of the main logging trail , was a lane he used to get to his cabin. Weekends were spent enjoying nature. Family outings, eventually included grand kids, and were taken as often as possible. These trips taught the kids about adversity, companionship, sharing, sportsmen ship, nature and conservation. Each trip to the cabin, to enjoy nature and family, included a little maintenance and work. After a forest fire, the grand kids would wander the pine areas, finding coral rocks. They would gather them, putting them on the swamp buggy. A collection of them, over time was used to construct first a outdoor grill for cooking meals and then the fireplace in the main cabin. Thereby each grand child contributed to the cabin, learning that each had a part in something they could not do alone. This is building of family, as it was done in times past. This family, especially the grand kids called this man's wife "Lolly" and they called the man "Pop", and the lane that runs from the main trail, to the cabin, is called "LollyPop Lane". It represents a man's family and their time in the Big Cypress Swamp. As you may have guessed by now, "LollyPop Lane" leads from the main trail to camp "Six Pack". The cabin was built by "Lolly", "Pop" and family, including the grand kids. From my first trip to camp, there was a small sign where "LollyPop Lane" meets the main trail. This "LollyPop Lane" sign has been replaced over the years. Once by me, but other times by people with camps nearby. Hopefully "LollyPop Lane" will be remembered in the future as part of the history and traditional use of the Big Cypress Swamp. Maybe this story will help that happen! This story provided by Steve, August 13, 2002, Written in memory of the Massey family.